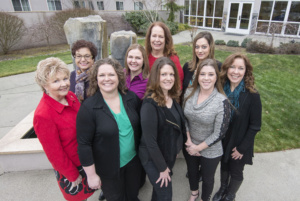 Ash Consulting is a local, woman-owned consulting firm founded in 2009. Our team members have significant accounting and finance experience in a variety of industries including Not-For-Profit, Healthcare, Social Services, Manufacturing, High-Tech and Government. We provide both project-based services as well as interim support to businesses of all sizes. Why Work with Ash Consulting? We’re a small firm. With experience equivalent to larger consulting firms, but with a simplified cost structure, we are able to offer affordable prices while still providing exceptional quality and service. We’re in this together. We realize that we are often a reflection of your team, so we approach every interaction with honesty, integrity and professionalism. We aim to ensure our clients feel they receive value for every dollar spent. Although our consultants are encouraged to collaborate with one another, and with other subject-matter experts, it’s at no additional cost. We advise our clients on best-practices. We will only recommend and implement practical solutions that meet your requirements and objectives without adding unnecessary complexity or cost. Our consultants have a unique ability to speak different business languages. We translate and simplify complex financial matters for individuals in various disciplines to ensure your project’s success. We are confident that you will be impressed with our integrity, knowledge and our commitment to customer service. Contact us today so we can help you complete some of the projects on your list.